The University of California, Los Angeles (UCLA) School of Dentistry is implementing a Health Resources and Services Administration-funded program to prepare dentists for the complex and comprehensive needs of pediatric patients within rapidly changing demographics and a paradigm shift in dentistry. 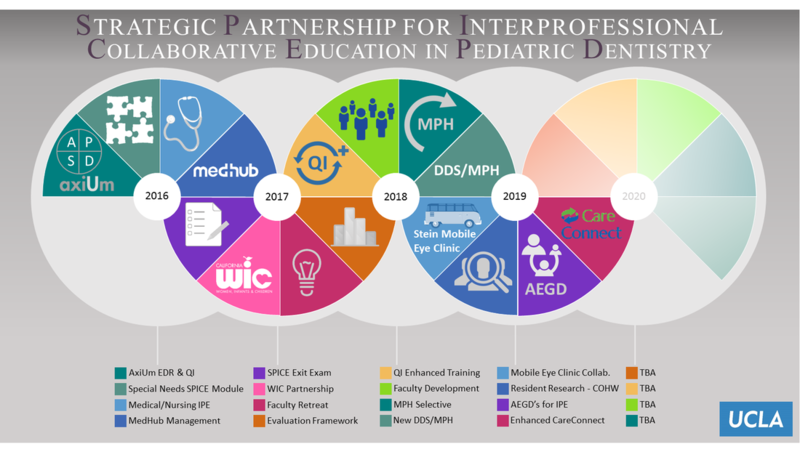 The overall purpose of ​Strategic Partnership for Interprofessional Collaborative Education in Pediatric Dentistry (SPICE-PD) is to augment and advance the training provided through the UCLA Community Health and Advocacy Training in Pediatric Dentistry (CHAT-PD) residency program to more effectively prepare dentists to meet the growing oral health needs of children from underserved and high-need vulnerable populations in the Los Angeles area. Click here to view the full 2-part recording and all pertinent resources! SPICE-PD, the interprofessional training for our Pediatric Residency Program, strengthens and supports the vision of the UCLA Center for Children's Oral Health (UCCOH). 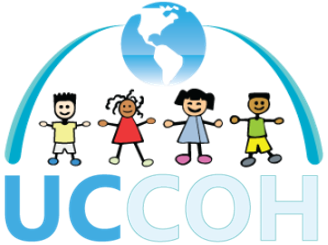 ​UCCOH is a multidisciplinary initiative utlizing evidence-based research translated to clinical care in order to achieve policy developments and advocacy in the interest of improving children's oral health around the world. Visit our UCCOH page at www.UCCOH.org to learn more!